Great news! We’re pleased to announce the launch of the new official Theraphi™ website. 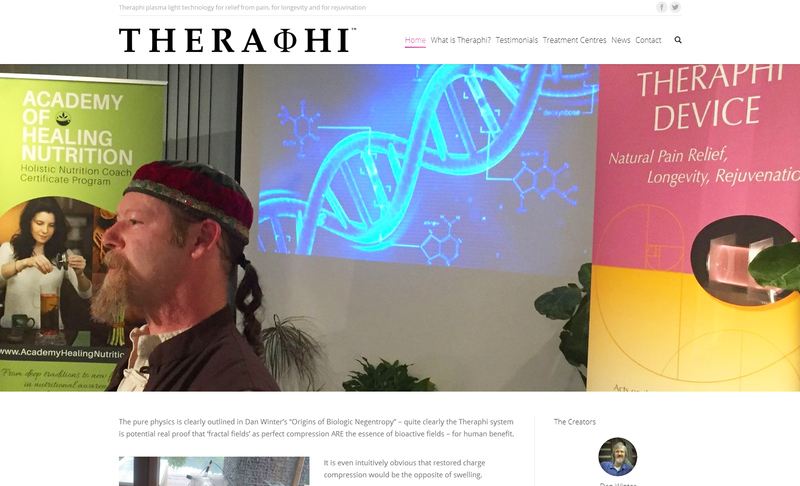 We have created this place as a source for resources, news and developments with our new revolutionary breakthrough healing technology, the Theraphi. Here, you can learn about the device itself, learn about the creators and contributors AND find out where you can experience our creation at an approved and accredited list of authorised customers. For more information, take a look around and explore our information-rich digital presence. We invite any and all questions through the e-mail form on our contact page. Thanks for visiting and we hope to be sharing our developments with you soon.